Often considered to be a perennial ornamental for use in gardens, Germander is a herb that is used in the food industry for the production of beverages or a herb considered by some to be helpful with medical problems. 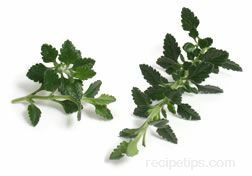 It is closely related to wood sage and is a member of the mint family of plants. With a a rose to lavender colored blossom that blooms in late summer and sprouts at the tip of the plant, Germander typically grows to a height of 12 inches, sprouting green leaves from numerous branches attached to the stem. The leaf of this herb gives off a strong garlic-like aroma when broken apart and is very bitter tasting. Native to Europe, the Germander is used in enhancing liqueurs, vermouth and some wines. Germander is mixed with white wine to create a tonic that many believe provides medicinal properties helping with bodily obstructions while others believe it is helpful for relief of asthma, fevers and coughs.